Hello Kitty, Japan’s moon-faced global icon of cute, will soon appear in a Hollywood film for the first time in her 45-year-old history, her creator said on Wednesday. Sanrio, the feline character’s operator, announced it was teaming up with New Line Cinema and FlynnPictureCo for the film after a near five-year discussion about rights for the big screen. “A search for writers and creative talent will commence immediately,” Sanrio said in a statement. The mouthless character, with her child-like hair bow and a registered height of five apples, has spawned a multi-billion-dollar industry since Sanrio introduced her in 1974. Immediately recognising Hello Kitty’s cash cow potential, the company branched out into merchandising the year after and she now adorns everything from pencil cases and pajamas to double-decker buses and airliners. Last year, a Japanese railway firm even splashed images of Hello Kitty over a special shinkansen, or bullet train, painted in shocking pink and white. To mark her 40th year, toy-maker Bandai released yet another licensed Kitty product: so-called “smartpants” that slip on the bottom of a smartphone for those who think their device needs underwear. 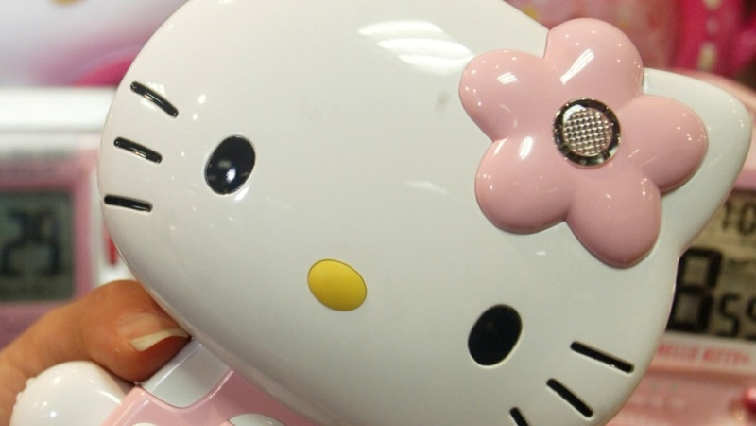 Hello Kitty is now found in 130-countries on more than 50 000 branded products every year, according to Sanrio. The firm also operates two theme parks in Japan and licenses characters such as Hello Kitty for amusement parks overseas, including in China. The post Hello Kitty hits Hollywood with planned film debut appeared first on SABC News – Breaking news, special reports, world, business, sport coverage of all South African current events. Africa's news leader..